Knock your opponent out even quicker with the adidas boxing gloves Speed 200 by surprising him with lightning punches of high power. No problem with the adidas boxing gloves Speed 200. The innovative design of the speed gloves is made of several foam layers processed one above the other, which allow explosive punches at enormous speed without the risk of injuries. 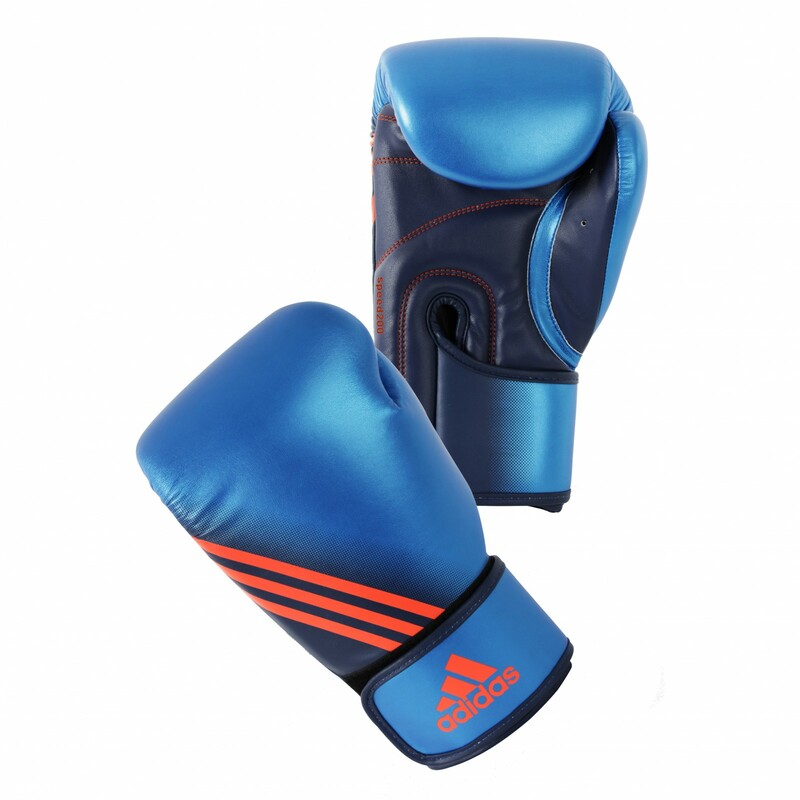 The very light materials provide a perfect adapting to the hand shape offering a unique comfort of the adidas boxing gloves Speed 200. The high-quality workmanship made of robust synthetic leather ensures a long durabiliy of those quality gloves, whose innovative quality is perfectly emphasized by the modern and striking look in blue-metallic. adidas boxing gloves Speed 200 add to comparison list.